I'm not one for divulging a movie's secrets in advance of its release, so you won't get any (or at least not much) of that here. 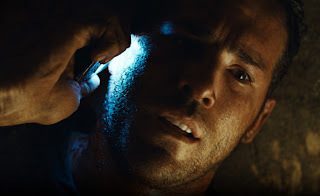 That said, I found the hype surrounding the premise and execution of Rodrigo Cortés's forthcoming Buried so intriguing that I gave in to the tempation to read Chris Sparling's screenplay in advance of seeing the movie. It's a tight, tense thriller that manages to deliver both a social/politcal message, and some great nail biting moments of suspense, yes, worthy of Hitchcock. Not an easy thing to achieve in 80 pages including the title sheet, and Sparling pulls this off brilliantly! The Hitchcock comparisons have been all over the map—some warranted, some off the mark. And wisely, the ads for Buried use the comparisons to every advantage. 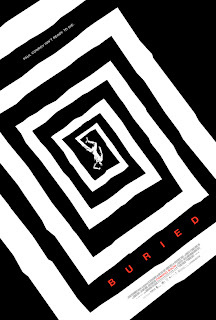 The Hitchcock name appears prominently in the advertising and even one of the posters is more than strikingly similar to Saul Bass's ad designs for Vertigo . 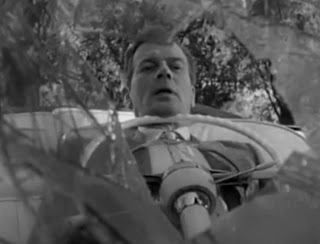 That Hitchcock on more than one occasion set the bar for making a film in a confined space is well known. Lifeboat confined its action to, well, a lifeboat; Rope to an upper-East Side Manhattan apartment, but with the added confinement of taking place in real-time; and Rear Window , which limits its action to a Greenwich Village courtyard, confines its hero to a wheelchair. 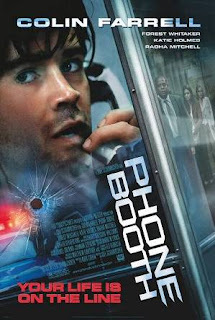 We can actually lump the 2002 film Phone Booth into the mix, as it was an idea that screenwriter Larry Cohen initially dreamed up for Hitchcock in the 1960s. 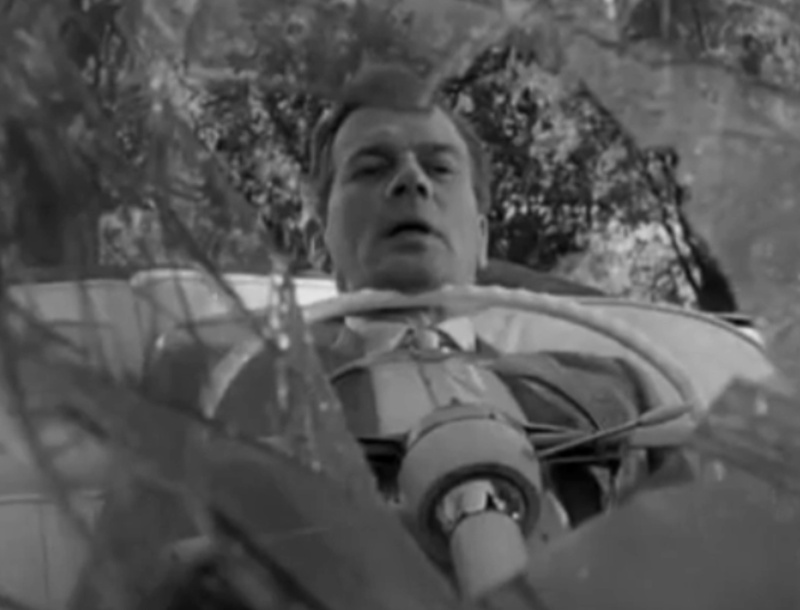 Yet, these features aside, Chris Sparling's screenplay—which sets a new bar for confined spaces and takes places in real-time—actually reminded me more of what was initially intended as the premiere episode of Alfred Hitchcock Presents , Breakdown, which was directed by Hitchcock and starred Joseph Cotten. In Breakdown, Cotten plays a businessman untouched by the outward display of emotion when he dismisses one his employees. 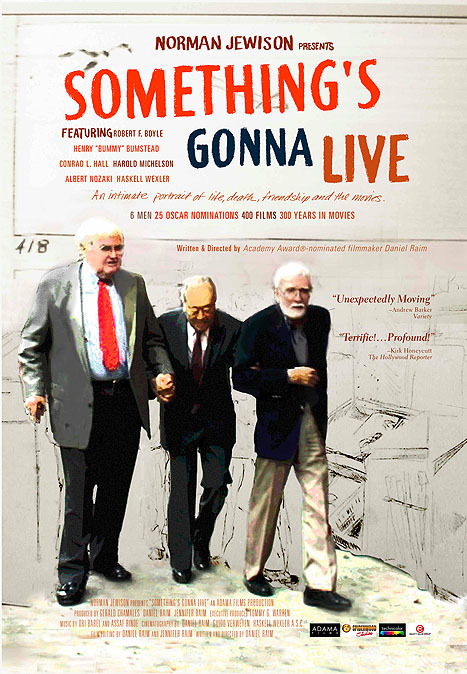 Later when the businessman is paralyzed in a car accident, he is mistaken for dead and all his efforts to communicate with those around him—so that he isn't buried alive—are useless. What Buried shares with Breakdown is the growing sense of the protagonist coming to terms with his own mortality. Each is trapped, one in a coffin somewhere in Iraq, the other inside his own paralyzed body. Now what Hitchcock pulled off in 22 minutes, Buried succeeds into stretching to 90 by having its protagonist (played by Ryan Reynolds), who has been placed in the coffin for ransom, deal with a series of frustrating phone calls—a 911 operator, the company he works for, the FBI, his wife's voicemail, his Alzheimer's stricken mother, and of course, his kidnapper. With each successive phone call, with each build up of hope for his rescue, with each disappointment, and each cutaway to the draining cell phone battery, the sense of hopelessness and claustrophobia increases to the point it becomes unbearable. 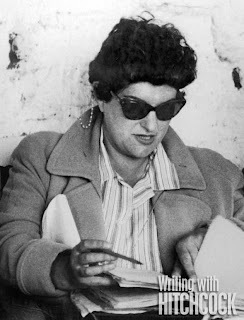 There are other things that happen inside the coffin, which I won't dilvulge. But from what I've read, it will definitely be a good ride. A little more than eight months ago Eric Rohmer, the French director and film critic passed away. Yesterday marked the passing of Rohmer's co-author of the first book-length study of the films of Alfred Hitchcock—Claude Chabrol. 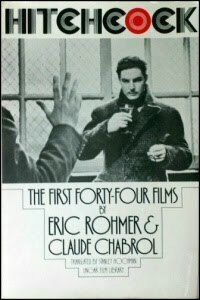 In my previous post on Eric Rohmer, I noted the significance of their book Hitchcock: The First Forty-four Films , a critical survey of Hitchcock’s films chronologically from The Pleasure Garden through The Wrong Man . Considered the father of the French New Wave, Chabrol's output as a director paid homage to Hitchcock perhaps more than any of his Cahiers du Cinéma contemporaries who helped initiate and elevate the critical discussion of Hitchcock's work. Chabrol's films leaned toward the thriller genre—Le Boucher , The Unfaithful Wife , The Cry of the Owl —and reveal both a fascination with murder and sense of irony that can be characterized as Hitchcockian.